I have great memories of my Grandma Bonnie (my mom’s mom). She was a superb cook and always had the best food when we visited the farm. Farm fresh eggs (although I was not a fan of collecting them from the mean hens that pecked me) and fresh vegetables from the garden were staples on the table. I remember hot sweaty days with scratched arms and legs from going berry picking in the woods. Whatever she prepared was a treat and I think I have gained my love of cooking from her. It seems only fitting to share one of her recipes today. 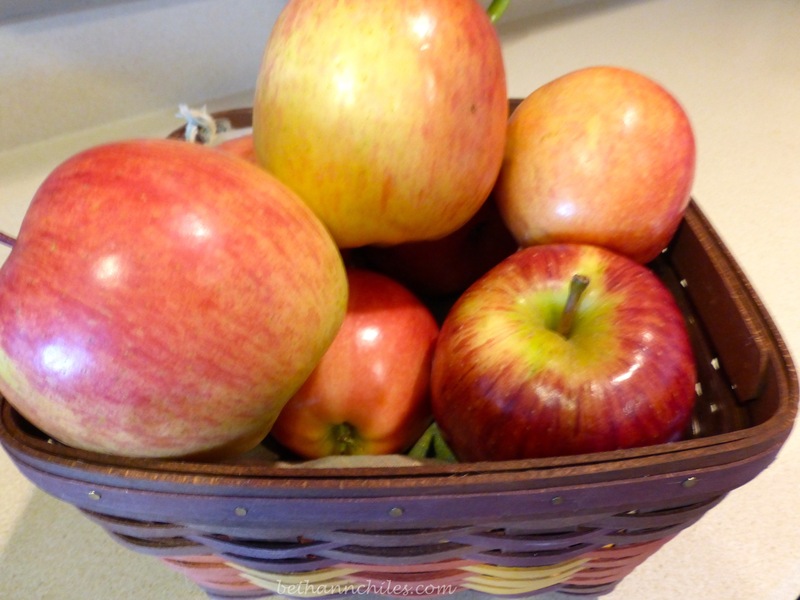 Fall has me thinking about all the favorite fall foods including apples. There are so many varieties that are available and it is very difficult for me to choose just one so I have a basket full of different varieties on my counter. 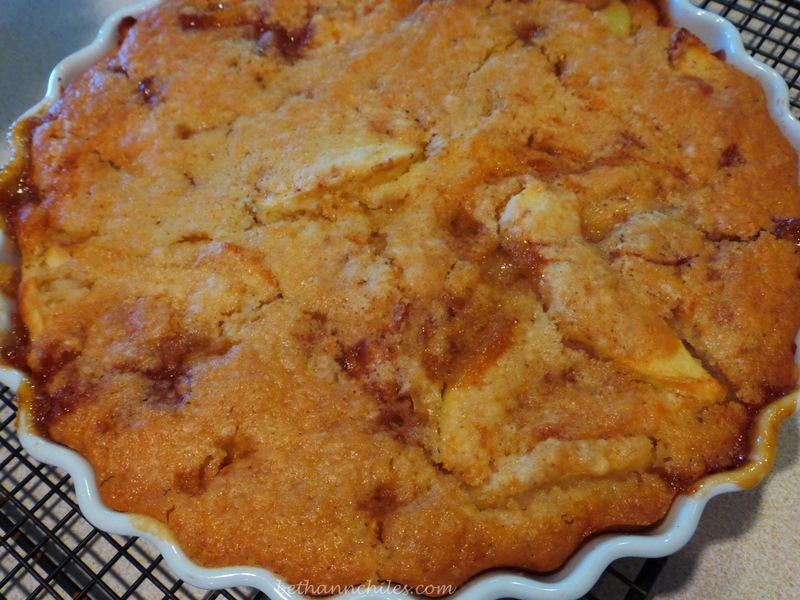 This recipe for Apple Pudding is not really a pudding but more of a cobbler but since that was the title of “her” recipe who am I to change it? Enjoy an easy dessert that is perfect for fall gatherings. I also added freshly grated nutmeg on top because I can’t get enough of this spice! 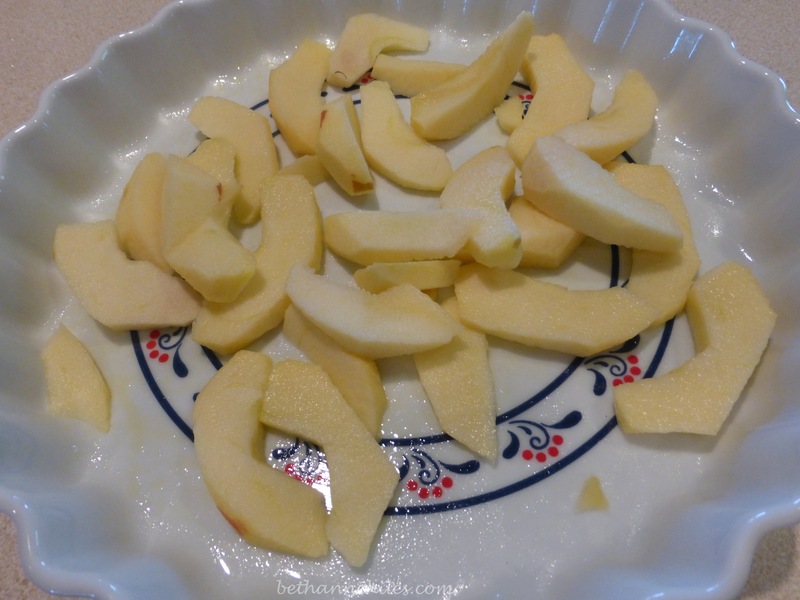 Pour over apples. Bake in 375 degree oven for 50 minutes. Serve with vanilla ice cream or whipped topping. I remember my Grandpa pouring milk on this also–whatever you want to add to finish it off makes it perfect. Enjoy! 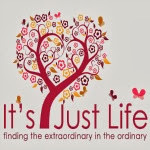 It’s Just Life will be featuring My Favorite Things Week all next week! Come back every day to see one of my favorite things and have the chance to win every day! You won’t want to miss it—please share via social media! What an interesting recipe. It takes a surprise turn there toward the end. I have one of my grandmother’s cookbooks.. and I love making the recipes from it. It is a pretty good little recipe and we had the leftovers last night for dinner when the hubby got in from Texas. I think that some of those older recipes are my favorites because I connect nice memories along with them. Thanks, Dawn. It is pretty yummy! This is a tasty thing that CH would love and he would pour heavy cream on it! Yep===That was how my grandpa always ate it! Smothered in cream/milk/whatever they had at the time! This looks so delicious. And something that I could whip up quickly that would taste like it took forever to make. Good thing we have extra whipped cream at home. It looks delicious, and I bet it is. Mouth watering! My grandmother was a great cook as well.What wonderful memories. Yummy, I can almost taste it! When I read the title of your post, I thought: “I’ve never HEARD of apple pudding!”. This sounds and looks yummy – perfect as we’re all getting in the mood for fall. This is slightly different, but almost identical to the cobbler recipe I make. With peaches or berries, I cook the fruit, then put it in the pan and pour the batter over it. Sometimes I like a biscuit cobbler, but this is so easy, and there’s no need for that extra step of cutting in the butter. It would be great with berries or peaches also–no doubt about it. And yes—very easy! Looks amazing! I have apples in the freezer, so I’ll be trying it!! It is really a great one to keep around because it does not call for anything you would not normally have in your pantry. Enjoy! Any thing my mother made was very good. YES!!! We are living proof of that! This is the perfect season for anything apple. I made an apple crisp for a potluck today. A friend also brought dessert. And what did she bring? Apple crisp. Your recipe looks super easy and delish. 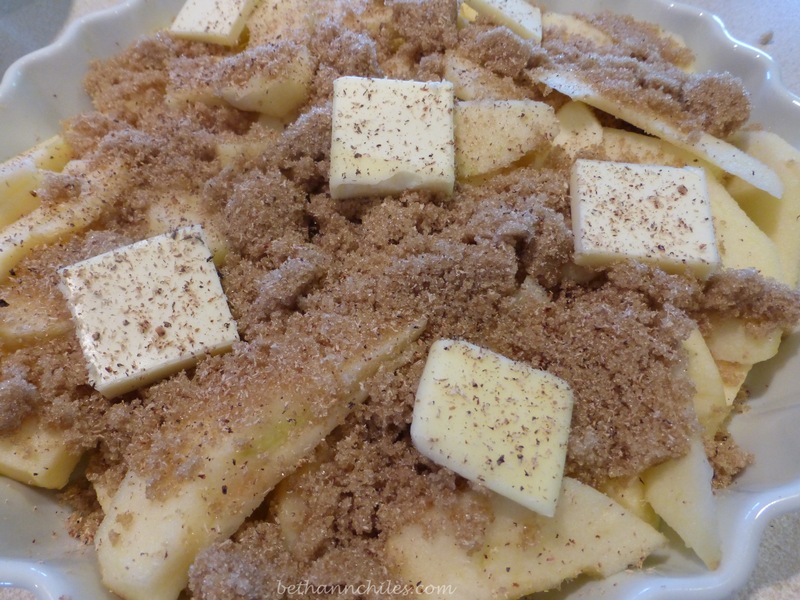 Apple crisp is the perfect fall dessert -no wonder you both had it on the menu! This does sound yummy–and it’s pretty to look at, too. 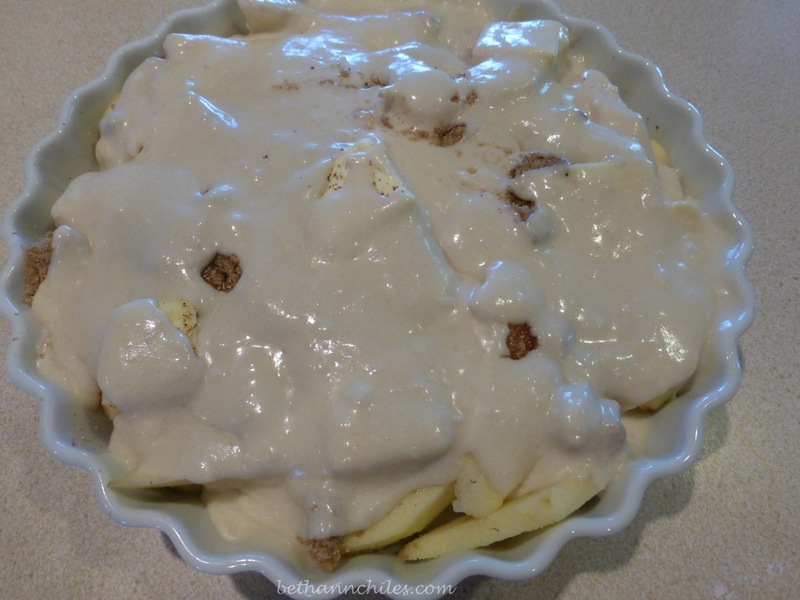 I never had apple pudding but this sure looks good! It is good even if it isn’t really pudding.—not sure why it is called that but it still is yummy! Aw—that is so sweet! I am so glad you have such wonderful memories of them—just like ME! This is one of my favorites, for sure! Thanks for stopping by and commenting! Hubby would love this! I would probably substitute rhubarb/strawberry because that’s my favorite!